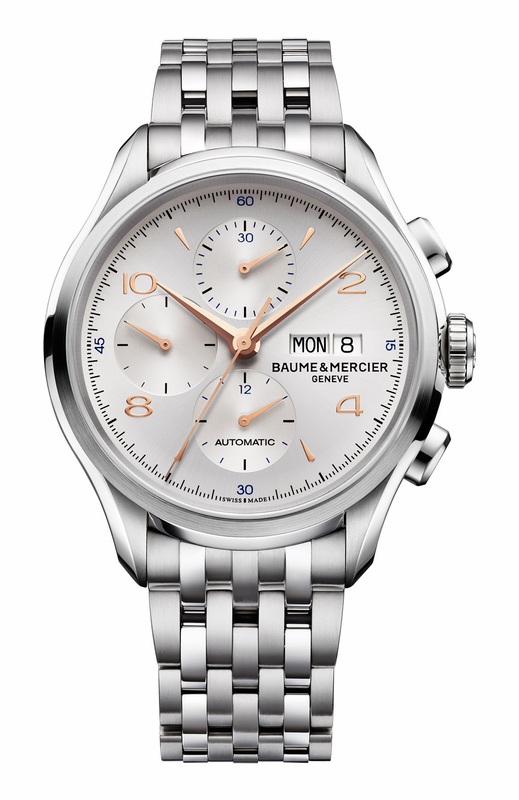 The latest addition to the Clifton collection by Baume & Mercier is the Clifton Chronograph, a self-winding chronograph adopting a reliable ETA 7750 Calibre in a steel case. 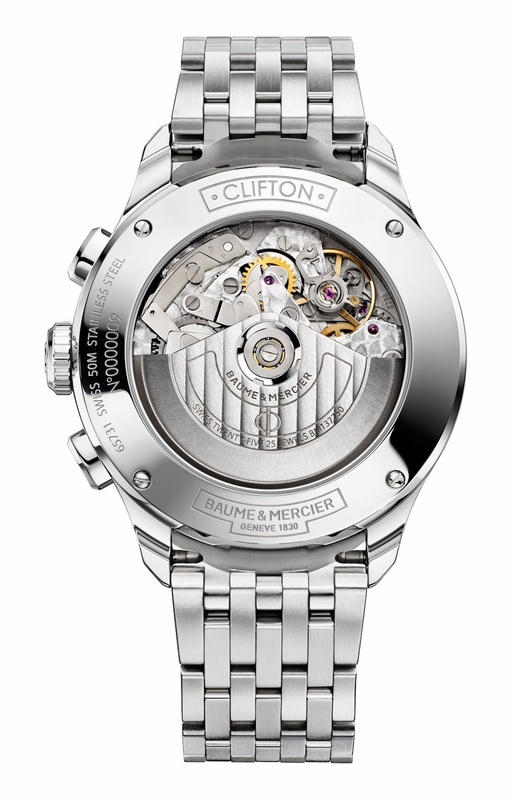 The style of the watch is inspired to the 1950s, a period considered by watchmakers as the golden age of wristwatches. The movement - offering a power reserve of 48 hours - can be seen through the sapphire crystal case back which is secured with four screws to offer water resistance to about 50 metres. 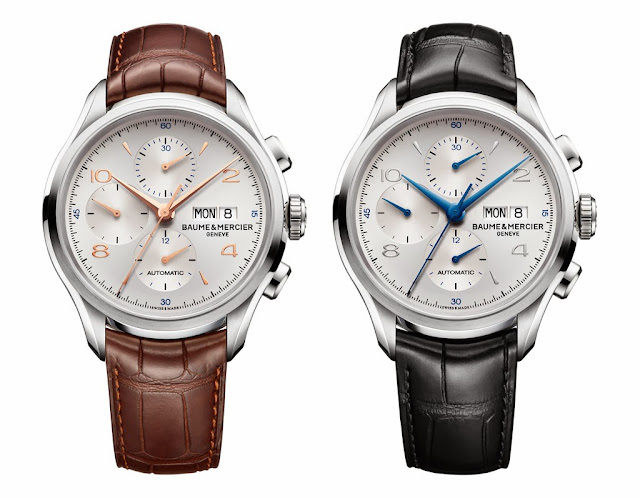 The silver-coloured dial is stain finished with minutes counter at 12 o'clock and the hours counter at 6 o'clock. The continuous seconds are positioned at 9 o'clock. In addition to the chronograph functions, the timepiece shows the day and date in an open display at the three o'clock position. The diameter of the case is 43 mm with a thickness of 14.95 mm. - reference MOA10123 with blued hands and a black alligator strap.